14K Solid Two-Tone Gold Bible Verse Ring. 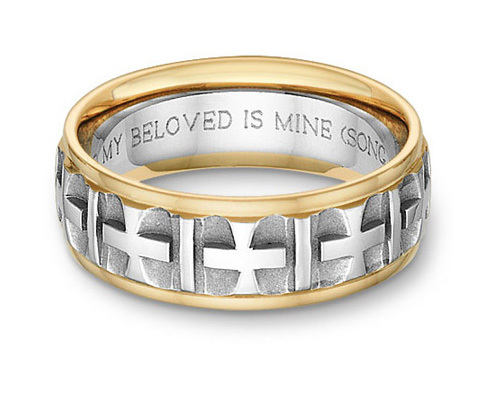 Customize your ring with Scripture with your choice of any full Bible passage. Custom verses may contain up to 200 characters (including spaces). We guarantee our Ancient Cross Bible Verse Wedding Band Ring to be high quality, authentic jewelry, as described above.